Born in Bibbiena (AR) in 1981, Luca Polverini has always believed that the bike is the most practical and intelligent means of transport and an instrument of freedom with which to move every day. For over 10 years he has been involved in new mobility and cycling as a volunteer within various local associations and national federations, participating in conferences, workshops and promotional events in the area and actively contributing to the organization. 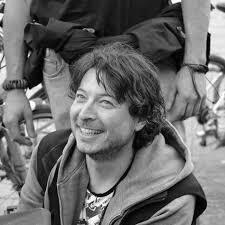 Member and activist of Firenze In Bici since 2007, he has held various positions within the association until 2017. After the birth of Firenze Ciclabile last year he took on the role of President.